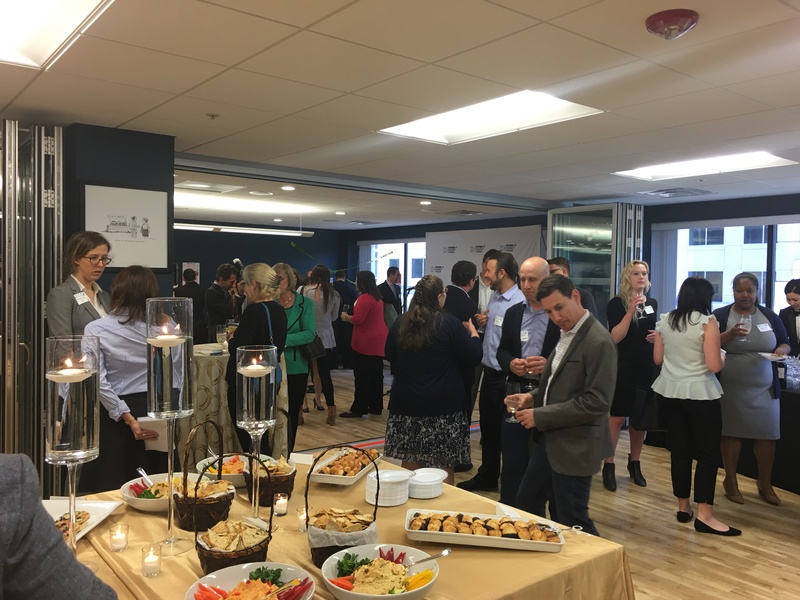 FPF held the Second Annual Tech Lab Open House Tuesday, April 18, 2017, at our offices in Washington, D.C. 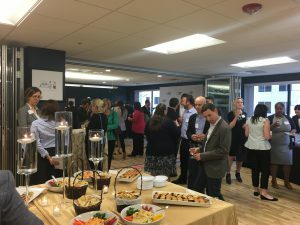 The Tech Lab Open House provided an opportunity for us to host Privacy Commissioners and FPF members who were in town for the International Association of Privacy Professional’s Global Privacy Summit. The event also provided a rare occasion for policy makers, regulators, and thought leaders to interact with the latest in privacy-impacting gadgets and new technologies. 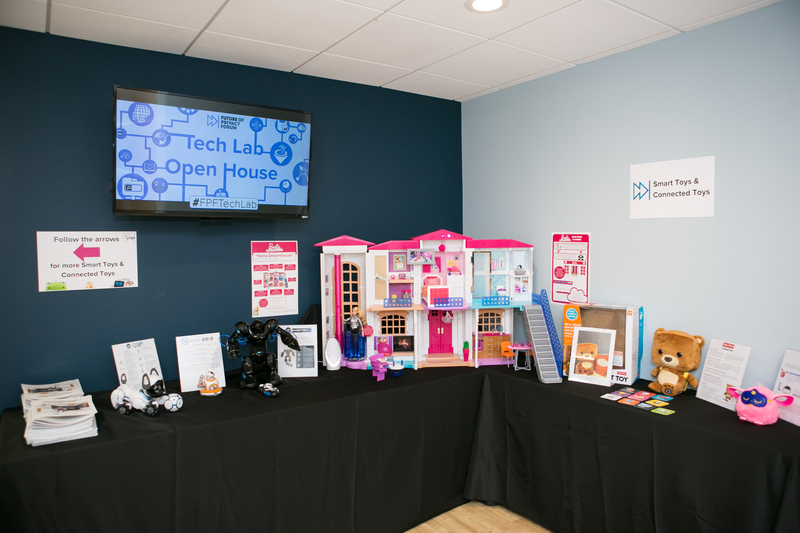 The Tech Lab contained several smart toys and smart home gadgets such as CognitToys Dino, ChiP Robot, Barbie Hello Dreamhouse, Amazon Echo, Google Home, and Mother; demonstrated how Wi-Fi and proximity sensors can be used to track smartphones in our space; displayed the intricacies of facial recognition technology; shot short videos with Snapchat’s Spectacles; and experienced virtual reality with the Oculus Rift. The Tech Lab was widely attended by chief privacy officers, regulators, advocates, academics, and other privacy professionals who encounter the policies and regulations governing the type of technology that was on display. We were delighted to be joined by several distinguished guests: Lahoussine Aniss, General Secretary of the Moroccan Data Protection Authority; Alon Bachar, Commissioner, Israel Securities Authority; Giovanni Buttarelli, European Data Protection Supervisor; Ivan Chi-kin Chan, Head of Communications and Education for Hong Kong’s Privacy Commissioner for Personal Data; Helen Dixon, Data Protection Commissioner for Ireland; Ventsislav Kirilov Karadjov, Chairman of Bulgaria’s Commission for Personal Data Protection; and Raymund E. Liboro, Chairperson of the National Privacy Commission of the Philippines. Watch Commissioner Dixon’s remarks below. Watch Supervisor Buttarelli’s remarks below.